For as long as I can remember, I never knew what my full heritage was. I knew that I was half German from my dad’s side, hence the “Frey” last name. And I knew that I was a fourth Czech from my maternal grandpa (my great-grandparents came through Ellis Island). But, I never knew what my maternal grandma’s heritage was since she was adopted at a young age. For many years fun conversations would pop up and my family and I would joke around wondering if we were part Russian maybe? European? Scandinavian? The guesses were endless. Ever since I was young I have loved everything about the Irish culture, and I mean everything. The food, music, dance (huge Riverdance fan), country itself (I hope to go someday), and accent. I always laughed and told people that I should get the shirt that says “Kiss Me, I Might Be Irish.” Because maybe I was! Who knew? For Christmas my brother gifted my mom a DNA test from Ancestry.com. She was so excited to finally find out what her/our heritage was! I was at work last week and received an email from my mom with the subject line reading “My Ancestry.com Results are In!” Check out the below percentages and why I’m so excited to celebrate St. Patrick’s Day this year! So there we have it! I am part Irish! It may be only 2% but hey, it’s something! 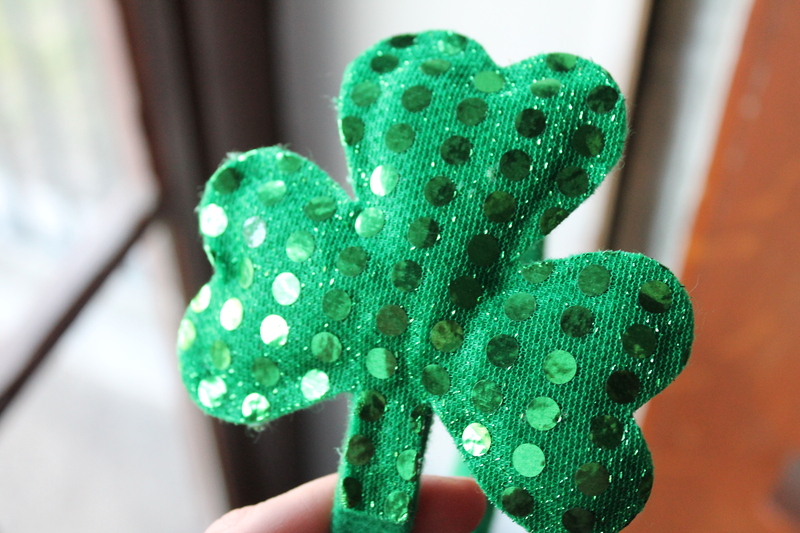 And I can wear my shamrock headband proudly! Have a safe and happy St. Patty’s Day because you know I will! Previous Post Pass the Vitamin C Please!